This band has announced that they are going on their final tour leg, only to be extended and expanded in more cities, only means one thing –nobody wants to see them go. This is how impactful and influential Lynyrd Skynyrd have become not only among their devoted fans, but also to new and succeeding generations of music lovers. 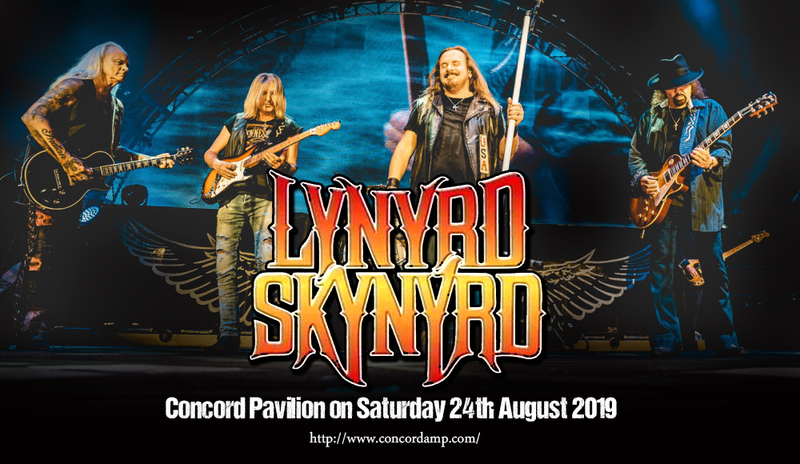 This is your last chance to witness and enjoy their all-American Southern rock sound, as they're taking their 'Last of the Street Survivors Farewell Tour' at the Concord Pavilion on Saturday 24th August 2019. Take a shot at being present at this momentous moment in music history. Save your spot and be counted! Go, book your tickets now! Lynyrd Skynyrd. The most devastating blow to their career as a band was when they been on a plane crash and lost fellow band members along the way. Yet, here they are still rocking and kicking. They have a 55-year old flourishing career comprised of 60 albums that sold over 30 million units, an induction into the Rock n' Roll Hall of Fame, and a slew of timeless classic hit such as “Sweet Home Alabama” “What’s Your Name”, Simple Man,” “Gimme Three Steps,” “What’s Your Name,” “Call Me The Breeze,” “You Got that Right,” and all-time favorite “Free Bird.” Indeed, it was a no-brainer for Rolling Stone Magazine to list them as one of its 100 Greatest Bands of All Time. No wonder, as the band announced their farewell tour, the list of extension dates and cities just keeps getting longer.